BRITAIN -- The ugly specter of witch hunting has once again found purchase in the United Kingdom. When Americans or Europeans think of witch hunts they recall a period in European history that lasted from the early 16th Century until the early 18th Century and sporadically thereafter. Historians and sociologist remain divided on the exact reasons why the citizens of these countries embarked on campaigns to eradicate ‘witches,’ who were primarily identified as women, though men and children were also victims. Some have suggested that witchcraft was used as a means of subjugating the population to force them to accept Christianity. While others believe that it was a combination of misogyny and Gendercide, however, both agree that it was a combination of factors including mass hysteria and a desire to explain sociological problems such as poverty, plagues, and unexplained deaths. 400 years later witch hunts have once again returned to the U.K. through an unlikely conduit. On 4 March 2012 in London, Kirsty Bamu, a young, Central African Republic (CAR) native was brutally murdered by family members after being accused of being a witch. He was beaten over a period of several days as part of a 'exorcism,' before finally succumbing to death by drowning. There are thousands of African children who are suffering similar fates throughout Britain. [youtube=http://www.youtube.com/watch?v=kRqrGHA-Azs&feature=related] "A phenomenon which was eradicated in Europe in the early 18th century is now raging across Africa, where according to UNICEF children between ages 4 and 14 are increasingly accused of practicing witchcraft. 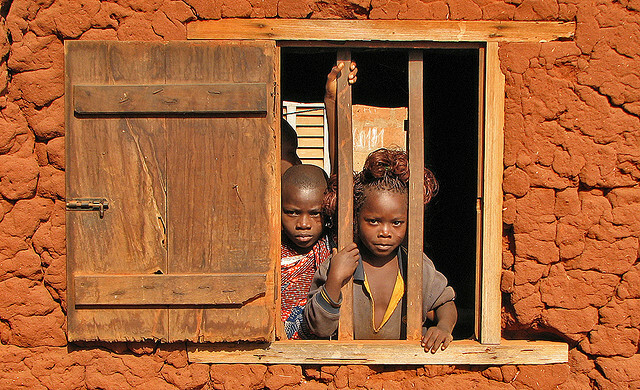 With the exception of Liberia and Sierra Leone, the urban phenomenon of child witches occurs principally in the Congo Basin, more precisely, in areas of Kongo culture (Yengo, 2008). It is no coincidence that these countries, Angola, the Congo and the Democratic Republic of the Congo, have also suffered from political instability, endless conflicts and civil wars, and the recruitment of child soldiers. The phenomenon appears to be gaining ground in countries that are geographically close (Cameroon, CAR, Gabon and Nigeria; Liberia and Sierra Leone). Although, it is a complex issue, the prevailing belief which seems to be confirmed by news coverage, is that cases of adults in Africa being accused of witchcraft are usually the result of a dispute over inheritance or someone's desire to get that person out of the way. In fact, in the Central African Republic the government legalized the hunt for witches by instituting laws which allow the police to arrest, charge and prosecute women who have been accused of practicing witchcraft. Many of these women languish in prison for years simply because they angered a male. Since children are unable to defend themselves, it is easy for church 'pastors' to level charges against them while simultaneously extorting money from their families who are desperate to remove the perceived evil in their midst. These religious leaders are able to enslave people with their perfidious assertions that these curses can potentially be removed through a large donation. Once accused, the children do not stand a chance and are subsequently subjected to inconceivable methods of child abuse which are euphemistically labeled as ‘exorcisms.’ Subsequently, when these religious leader proclaim that the inhuman measures have failed to cast out the evil from the child, these precious victims are then thrown out into the street and left to die, or are tortured and killed. This heinous practice that is spreading across Africa is unfortunately motivated by Christian extremists who are intent upon lining their pockets versus tending to the spiritual needs of their flock. We encourage you to watch the video reports at the links below to learn more about this horrific phenomenon, as well as familiarize yourself with the history of witch hunts and witch trials in Renaissance Europe. The Malleus Maleficarum and the Construction of Witchcraft: Theology and Popular Belief – Hans Peter Broedel.